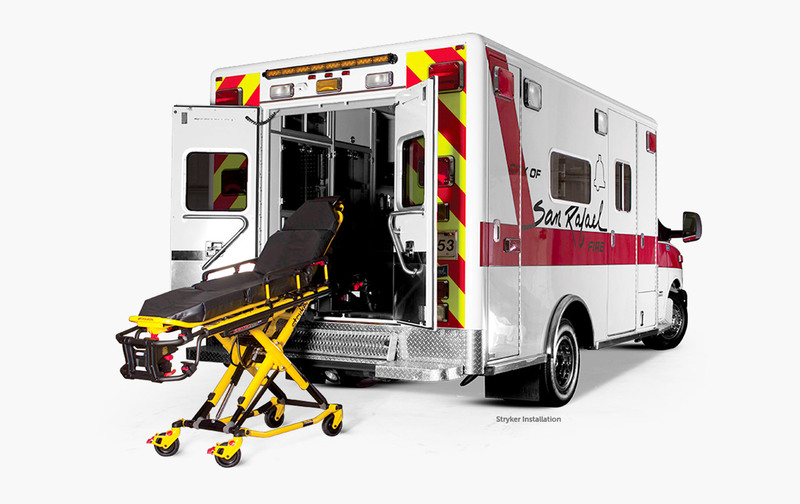 We build ambulances that are truly custom. 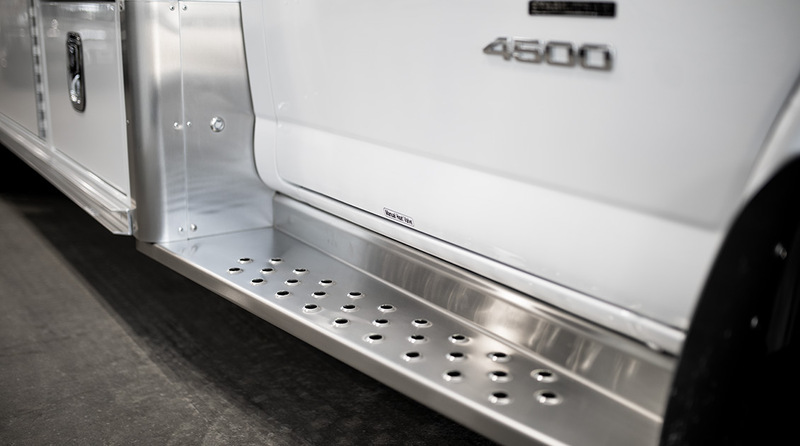 The flexibility of our features and options list is proof that you'll drive off the lot with a truck that makes sense for you. We'll help educate you and navigate you through every decision, from choosing an ideal box configuration, chassis model, and drivetrain to choosing which features and options best fit your needs and your budget. 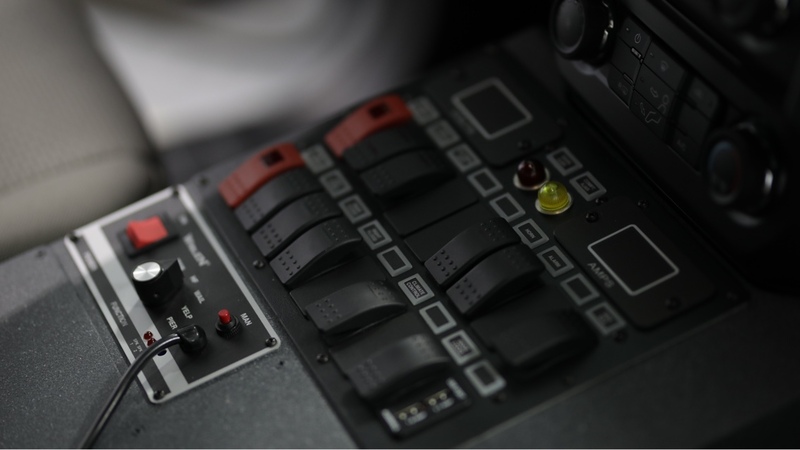 When we set out to design the perfect command console, we kept three things in mind: simplicity, customization, and maintenance. 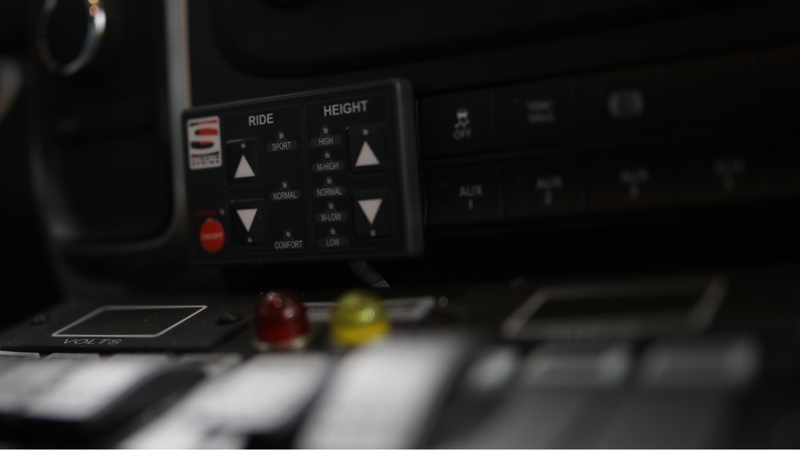 Throwing your sirens and lights into action should be a 1-switch job and not a multi-click touchscreen operation. 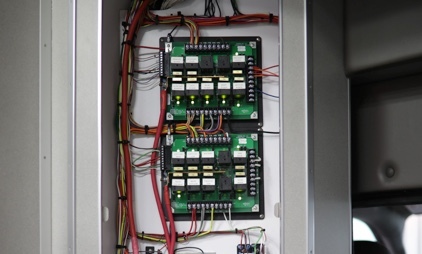 And because we use no-nonsense rocker switches, replacing broken switches or repositioning your controls is an easy job. 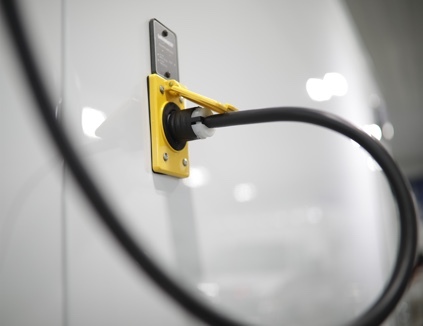 An ambulance's electrical system is the heart of the entire rig. It needs to be flexible, quick to diagnose, and easy to repair. New technology is great, when it makes sense to use it. But we don't believe it makes sense to computerize something that deserves to be simple. Being seen is vital to your safety. 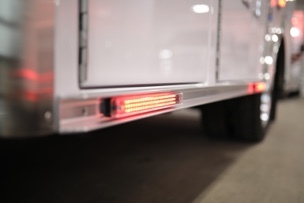 Our standard lighting package includes Whelen LED warning lights on all sides of the module, paired with Whelen LED brake and turn signal lights. 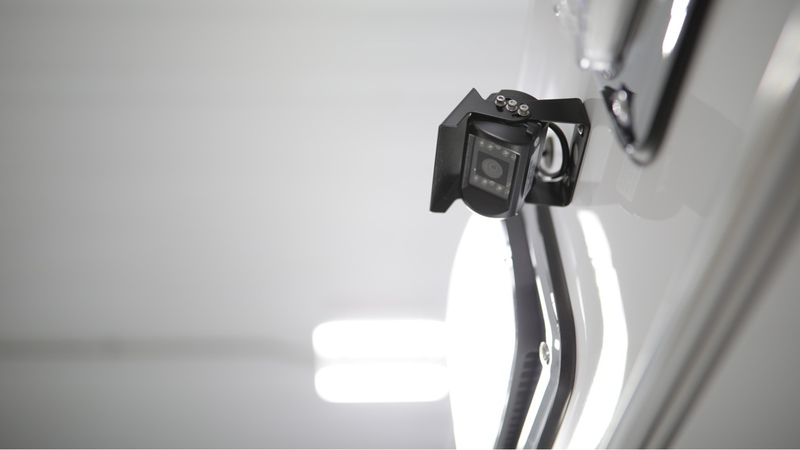 And we make it easy to upgrade to Whelen M Series lights or custom configure the lighting layout to fit your style. Strength and traction are expectations when it comes to flooring. We use the strongest materials and glue on the market, paired with a thick and sturdy subfloor, so strength and traction is exactly what we'll deliver. The only corners we cut on flooring are the ones we need to actually cut to ensure the perfect fit. 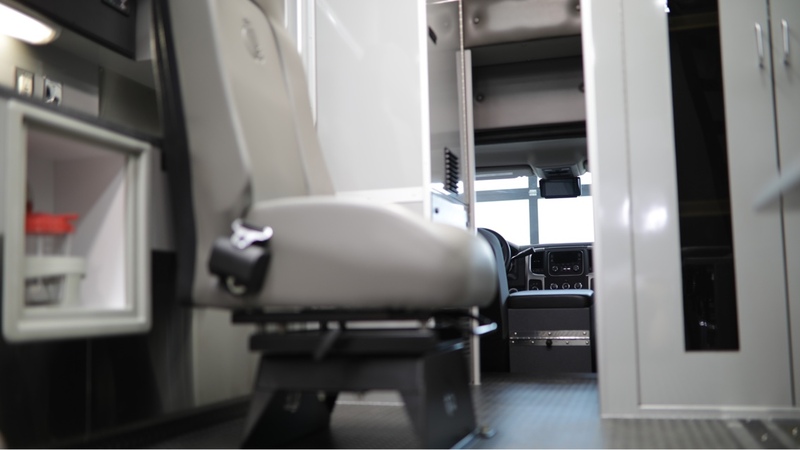 Our exclusive large walk-through cab opening allows drivers to more easily communicate and interact with medical staff in the rear of the unit. 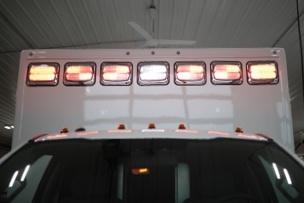 Staff in the rear of the ambulance gain a sense of inclusion, added space, added visibility, and added lighting. Once you've had the opportunity to take calls in a rig with this larger opening, we're confident you'll never want to return to return to the old version of standard. 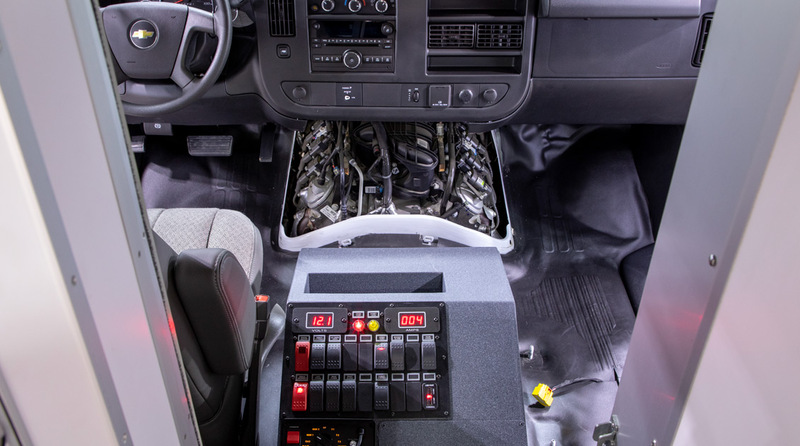 Because of their short hood design, a type 3 ambulance's engine is tucked deep into the center of the vehicle's console. To help keep your mechanic happy, we designed our wiring harnesses to always run from the rear of box forward, leaving no wires connecting your console to the dash. So simply unlatch the console on both sides, flip it up, remove the doghouse cover and trim plates and you're in. Watch a quick demo via the link below. 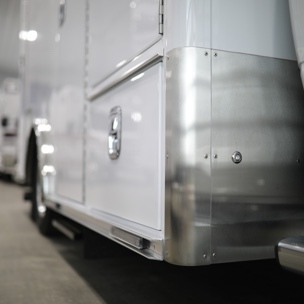 Add some style to your ambulance with our stainless steel trim package. 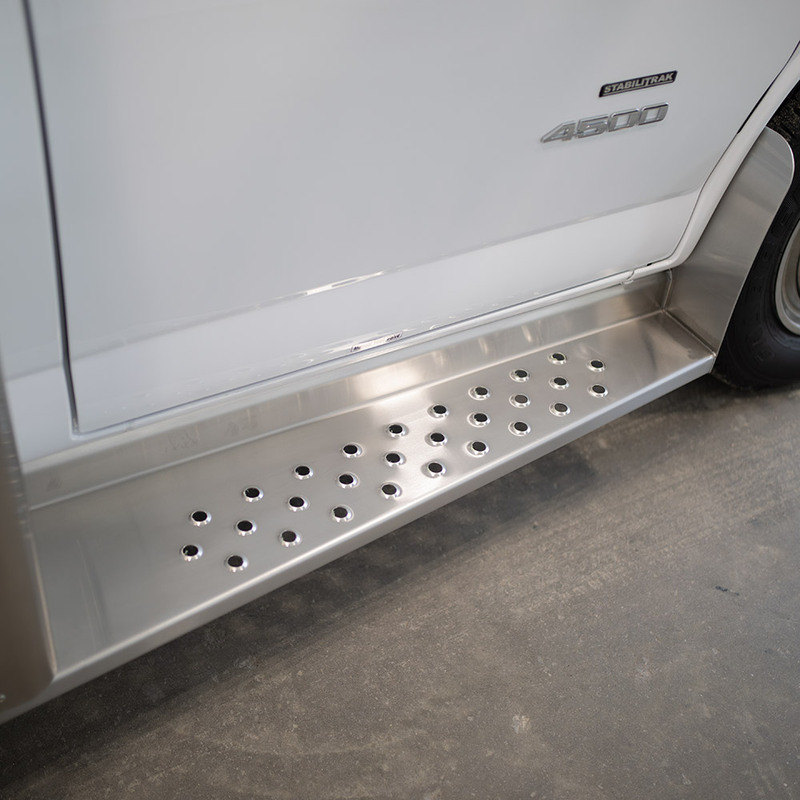 Or mix and match stainless, diamond plate, and black powder coated components to create the look you want. Each piece is custom fabricated to fit perfectly and ensure long lasting performance. 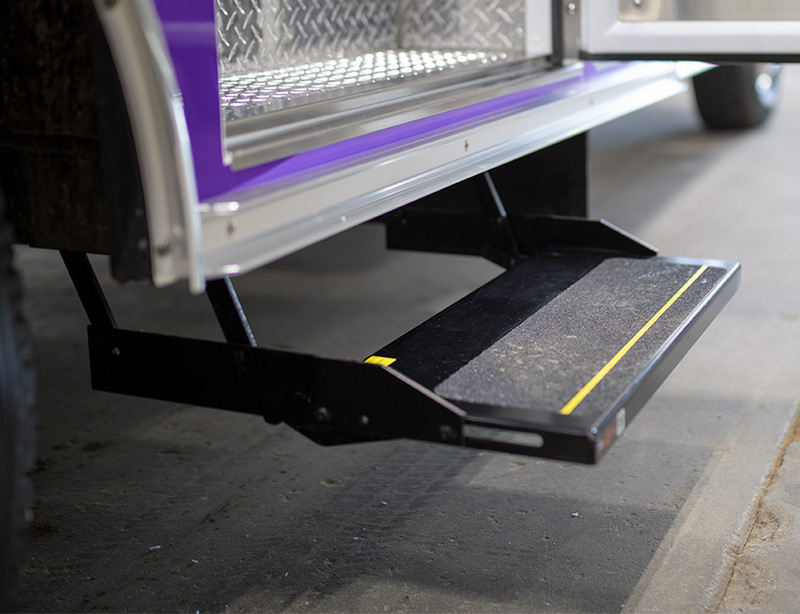 Available on our heavy duty trucks, liquid ride suspension gives you full control of your truck's ride height so you can adjust for various road conditions. And you'll get the added benefit of automatic rear suspension dumping to allow for easy cot loading on big 4x4 trucks. Electronics to make your job easier. It's the little things that help make all the difference. 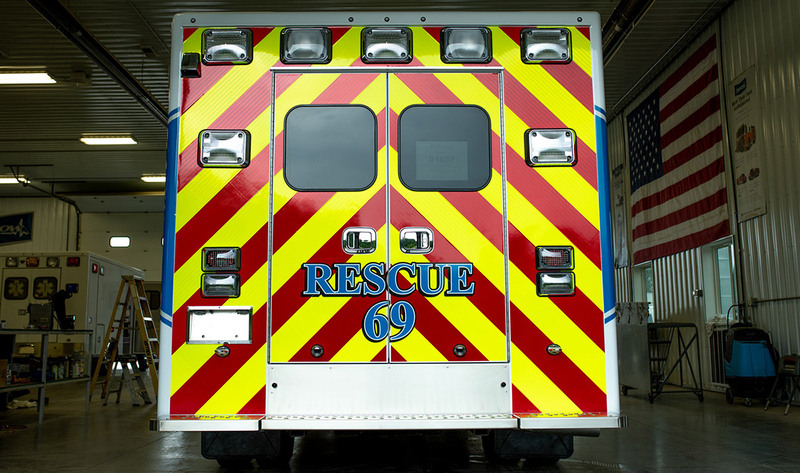 We can rig your ambulance full of electronics that'll help you do your job. 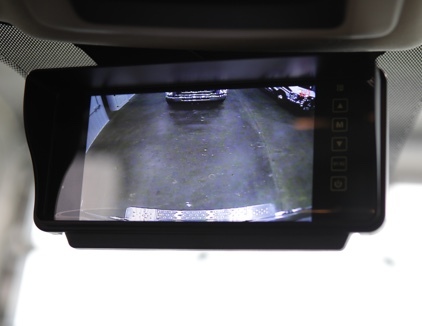 From a backup camera for added safety, to a Kussmaul auto-eject for a quicker launch into action, we've got you covered. Be seen & light the scene. 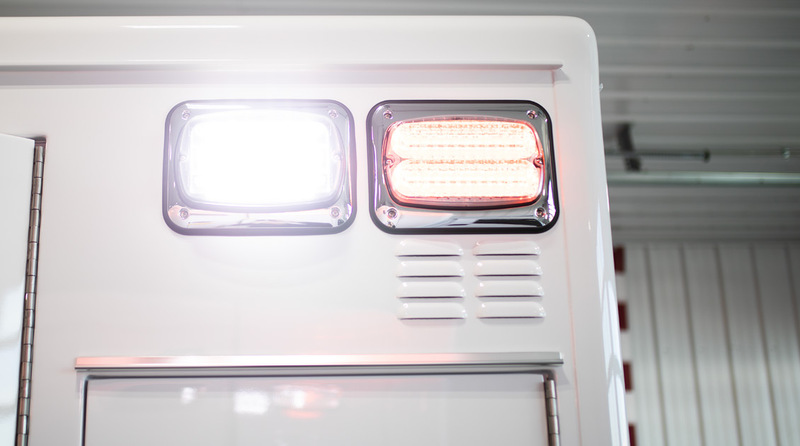 We'll help you design your ambulance's lighting package to cover you for every scenario. 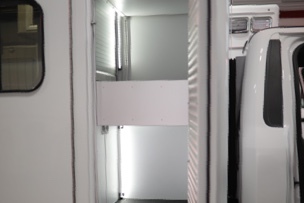 Include compartment lighting and scene lights to help you see in dark rural situations. 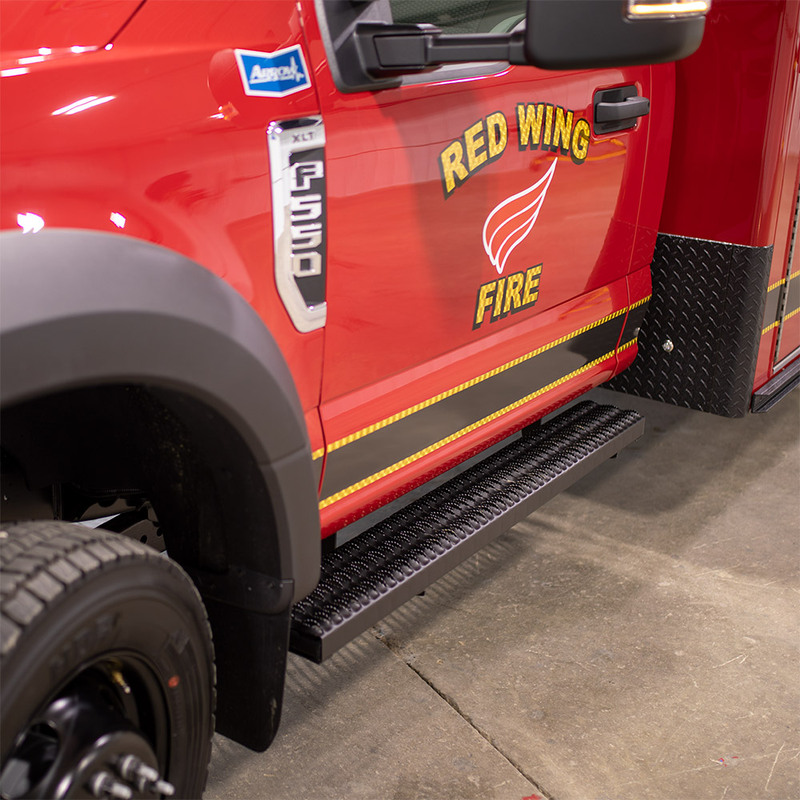 Or add customizable M-Series warning lights and flashing compartment door lights for added visibility in high traffic areas. 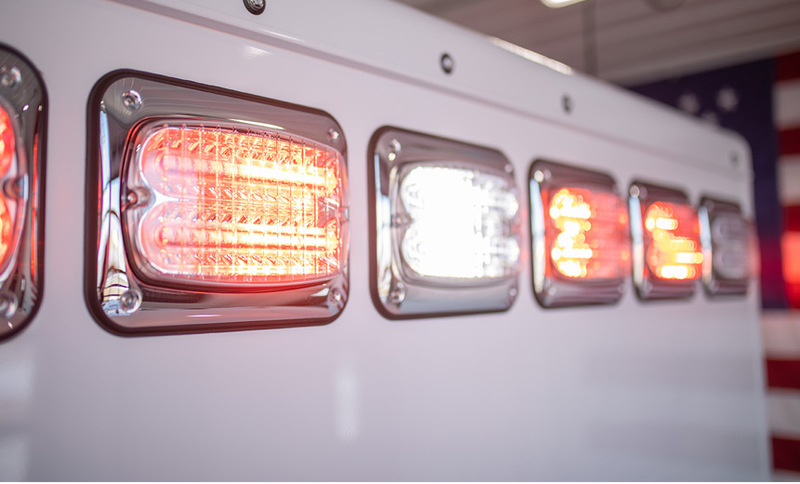 Whether you're matching your new ambulance to an existing fleet or wanting to design something new and exciting, our graphics and vinyl team will bring your ideas to life. 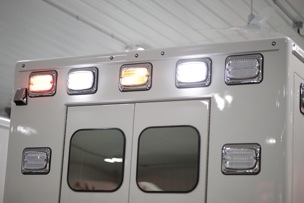 We can also provide everything you need for your ambulance to meet the various DOT rules for fluorescent chevron. 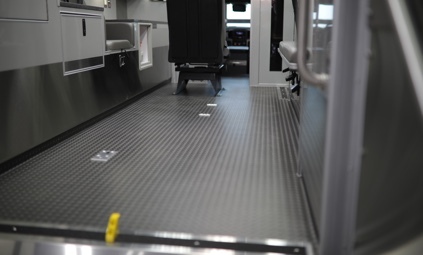 When making the choice to install a power cot system in your ambulance it's important that you chose an installer with the knowledge and experience necessary to get the job done right. 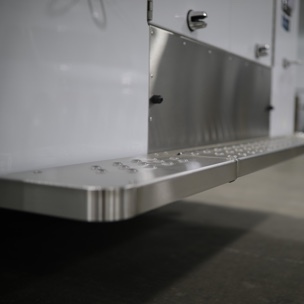 Installing a Stryker Power-LOAD requires a great deal of structural manufacturing and electrical work, that if done poorly can affect the performance of the cot, ultimately affecting your ability to get a job done.